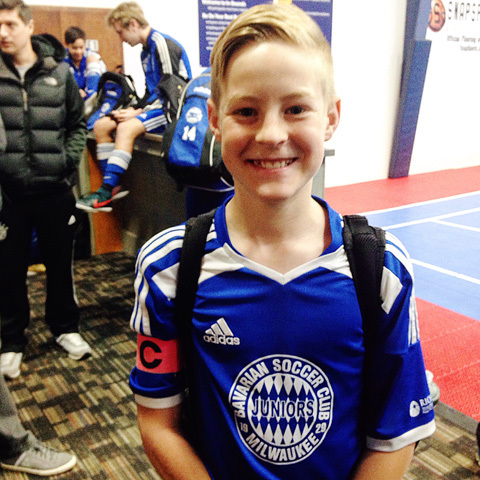 On Saturday, H had his final two futsal games. Their team split in two due to size, and he was captain of one of the teams. It was such a great experience and opportunity for him. We are so proud. He's getting to wear the captain band one last time this weekend at their first soccer tournament of the season. This guy turned 14 this week. 14! That's crazy stuff. I love him so much. Unfortunately, his birthday fell on the first day back to school after Spring Break. But he had a good day regardless. We celebrated with a late post-soccer practice dinner of steak, Greek salad and french fries. Cake too, of course. 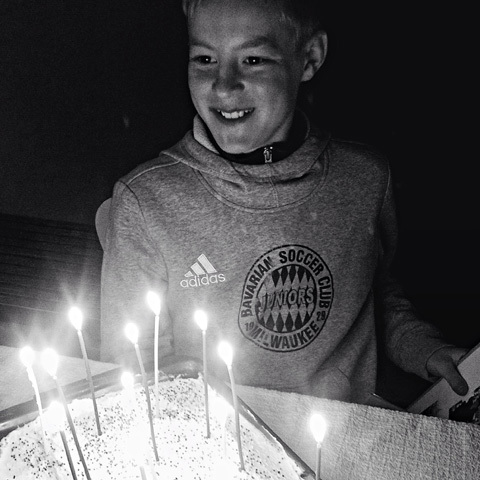 Happy birthday to Hudson! 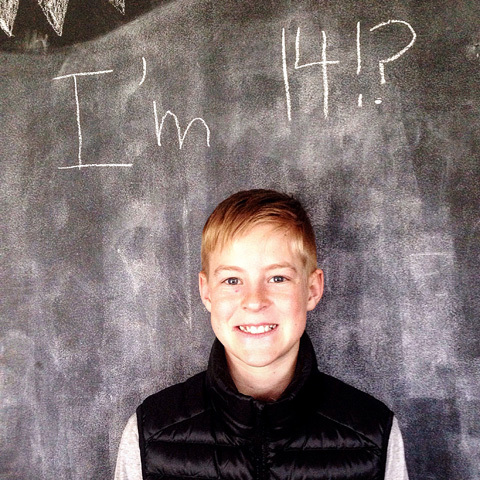 I cannot believe he is 14! Looking at this picture just kills me knowing these boys are getting so gosh darn OLD!